Use color and patterns to fill in areas of your drawings. 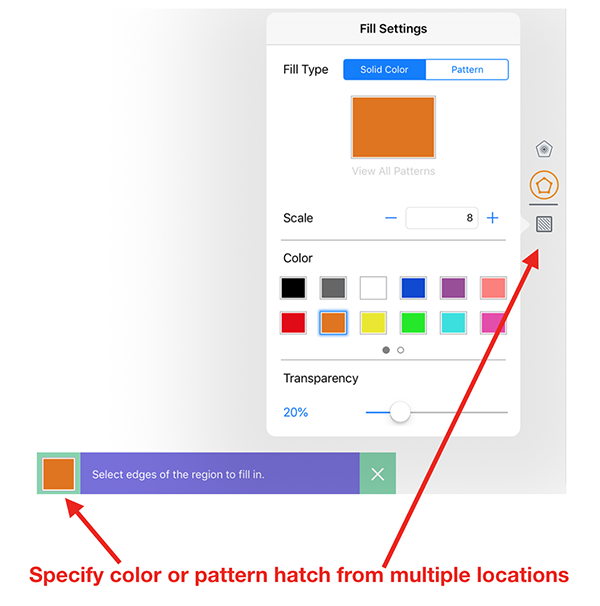 This article shows how to do fills for both drawings you create as well as on an existing PDF or Photo you import. 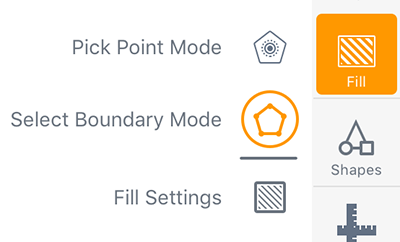 You can fill almost any "sealed" shape using one of the Fill options. Sealed here means that all sides are snapped/sealed up against another side. You access the Fill tool from the 4th icon on the right side toolbar.